Simple and easy to operate Windows data recovery software undelete files and folders lost after common data loss incidents from Hard disk and USB media in professional manner. Best featured and simple to operate file undelete program rescue data deleted from all major supported digital media brands including Pen drive, Digital camera, USB Hard disk, Thumb drive, Memory card devices, Mp3 player and other similar digital media devices. Best featured and easy to use Professional data recovery software. Malicious software installation and other common data loss incidents. 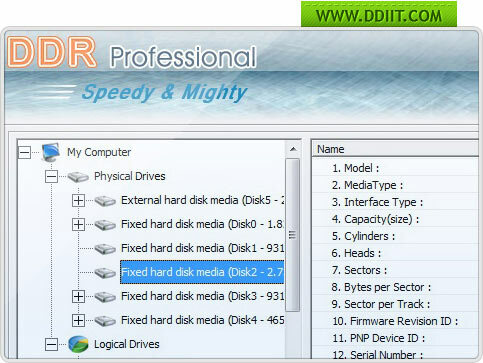 To recover data from such devices, simply connect the corrupt media on Windows OS installed computer machines having DDR professional – Data Recovery Software installed and run simple to use recovery program.